Summerbridge is a non-profit organization that creates free educational opportunities for highly motivated underprivileged secondary school students in Hong Kong. It provides comprehensive year-round programs to develop students’ English communication, academic, and life skills through an engaging English Language Development curriculum, small class sizes, individual mentoring, and hands-on learning strategies. Summerbridge programs develop students’ self-confidence and motivation towards lifelong learning. 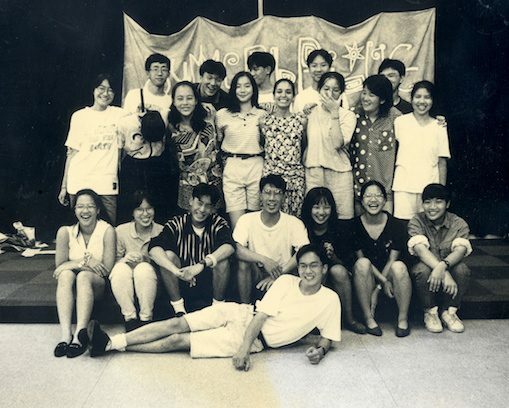 Summerbridge was established as a Hong Kong non-profit organization in 1992, based on an American model that was founded in 1978 at the San Francisco University High School. The American philanthropist, Mr. Charles Feeney, initiated and funded the program during the early years. When Summerbridge hosted its first summer program, it served 22 secondary school students and involved 8 student teachers. Summerbridge has since served more than 4,500 young people. Over the past two decades, Summerbridge has developed from an organization providing only summer programs to one that provides year-round educational support to its students, now serving 330 students and involving 120 student teachers a year. Summerbridge relies on donations from sponsors and volunteers to deliver its programs, and will continue its efforts to grow and meet the increasing demand for its services. Summerbridge Hong Kong is a part of the Breakthrough Collaborative, an umbrella organization of collaborative programs located throughout the United States and Hong Kong that grew from the San Francisco site mentioned above. Programs in the Breakthrough Collaborative provide intensive multi-year academic enrichment to high-potential, low-income secondary school students. There are over 20 affiliate programs operating in the United States, with Hong Kong being the only international program. All Breakthrough programs share the model of students-teaching-students, in which dedicated high school and university students become teachers and role models to younger underprivileged students. Since the founding of Summerbridge in 1992, the English Schools Foundation (ESF) has been a long-term supporter of the organization and has consistently provided in-kind support through the use of their schools’ facilities each summer. Students from the various ESF secondary schools, such as Island School, King George V School, Sha Tin College, South Island School, and West Island School, have taken part in the Summerbridge programs as student teachers. Summerbridge would not have had its successes without the dedicated support from the ESF community.